The Gemini Full Moon occurs at 7:05 PM ET at 22° Gemini 26” on December 13. There is an Capricorn New Moon this month on December 29. It’s degree is 7° Capricorn 59” and it occurs at 1:53 AM ET. Read more on the daily post for the details of these Moons. Do you want access to the month ahead, before the day posts? Get the word in advance, via the Daily Insight. 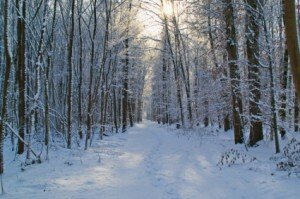 The Winter Solstice occurs on December 21 at 5:45 AM. In the Northern Hemisphere, this shortest day of the year reminds us of that the light soon begins to linger longer. Light signifies consciousness and as the Sun enters Capricorn we begin a cycle that brings attention to the concrete. Over the next couple of weeks, growing awareness of your goal helps to position it for success. Part of the ability to actualize this entails a willingness to release attachment to preconceptions. The unfolding requires a release from the past; not today, but in time. Plan your intentions for the growing light. MERCURY RETROGRADE – Mercury goes retrograde in Capricorn through December 19 into January (ending 1/8/17). In the sign of Capricorn, Mercury Retrograde symbolizes an inordinate need to go over the form with care. This may be especially significant in anything that requires leadership or professional ethos. It doesn’t matter how expert you are, if the message isn’t conveyed in the right way, it dilutes its impact and efficacy. Over the next few weeks, be especially alert to anything miscommunicated, especially in the business/financial realm. Mercury Retrograde encourages use of intuition and to be very present with a task. Thinking about the past or future is sure to tie a tongue or cause a typo. With Uranus Retrograde, you can tap your inner fire through meditation and creative exploration, which can bring a wealth of ideas. Uranus symbolizes the unexpected, inspiration, revolution and need for freedom. Uranus retrograde tends to indicate more shocks than when the planet is in direct motion, because we are not aware of what’s percolating under the surface until it erupts. When retrograde, a planet actually seems to retrace its steps and for Uranus, this means the past several months. In fiery Aries, it seems to slow down this month as it stations to turn direct on December 29. You may be required to move, experience a revelation or upset during this time, especially if you’ve planets in Aries, Cancer, Libra or Capricorn. Keep in mind that Uranus is known as the Great Awakener. Whatever happens, face it with eyes and heart wide open for the best results. When Uranus goes Direct on December 29, 2016, the Great Awakener erupts— this often mirrors a world event, sometimes actually physical like an earthquake. Anything that has been held back or kept in check becomes overt, not necessarily the day it goes direct, but over the coming weeks. With Uranus in Aries last decan (final 10° of a sign), we are poised to get the lessons of this Uranus transit (if we haven’t already). The ability to adapt to the change increases, so those who cling tightly to the past cannot sustain the grip as the momentum builds. The deck is stacked against the status quo. Physical upsets occur when resistance attempts to thwart evolution. 12/7: Pisces Moon is void-of-course at 9:05 AM ALL DAY!